Thank you for being here! 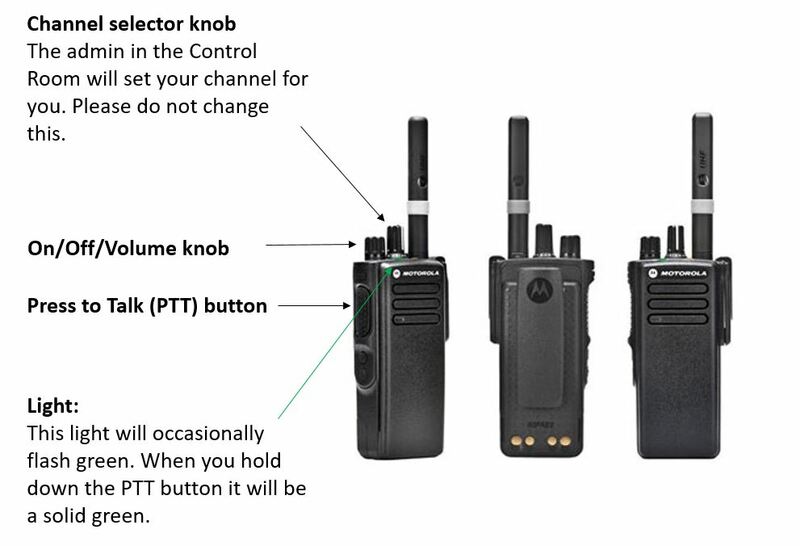 Please follow the four simple steps below to ensure you are confident to use your walkie talkie during ESF week. The walkie talkie you will be allocated is YOUR responsibility (they’re expensive!). Please do not give it to anyone else. Rahim: "Rahim to Karima, over"
Rahim: "It’s getting crowded in the entrance of the sportshall, we need two more volunteers here, over"
Karima: "Copy that, I’ll send them over now, thanks Rahim, Out"
Please take one minute to complete this quiz so we can monitor who has completed the training and test you on a few of the basic principles above.